Ever since Donald Trump said he was going to drain the swamp, people have been wondering how that can be accomplished and waiting for it to happen. This is a good study for everyone interested in observing swamp-draining techniques. “We are the ones responsible for draining the swamp people — not some president! You can’t drain the swamp by electing swamp people! !” ~ Terry B. “You also can’t drain the swamp if you haven’t studied the Constitution.” ~ Richard O. “You can’t drain the swamp if you trust the news media.” ~ Richard O. “Can we throw all the Republicans and Democrats out of office and start over again? That’s the best way to drain the swamp.” ~ Morris C.
“I believe our Republican leaders are corrupt, If not they would have stopped the Democrats already.” ~ Jack M.
I feel sorry for anyone who is in an elected office surrounded by critics, naysayers and other obstructors who won’t let the office holder get the job done. Before we judge Trump on how well he’s done in office, we need to look at who is surrounding him. You start with a cage containing four monkeys. Inside the cage you hang a banana that can be reached by going up the stairs. However, right before the monkey gets the banana, ALL the monkeys are sprayed with cold water. After a while, another monkey makes an attempt. As soon as he touches the stairs, ALL the monkeys are sprayed with cold water again. Neither do they know why they are participating in the beating of the newest monkey. Having replaced all of the original monkeys, none of the remaining monkeys was ever sprayed with cold water. Why? Because in their minds, that is the way it has always been! 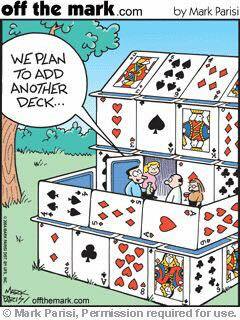 This is how today’s House and Senate operates and is why from time to time, ALL of the monkeys need to be replaced at the same time. DISCLAIMER: This is meant as no disrespect to monkeys! And that is Larry B.’s version of why it’s so difficult to drain the swamp. What do you think it’s going to take to drain the swamp? 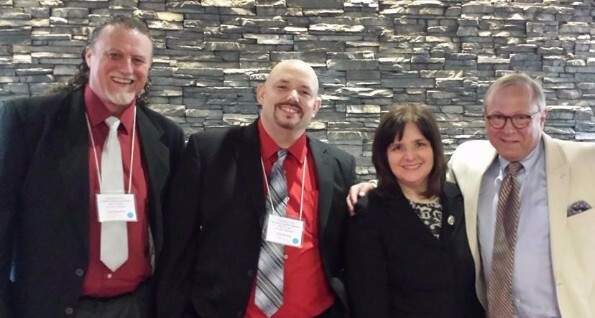 This is a picture of me with some friends in St. Louis at the CP Spring meeting. We know how to drain swamps! 1.) When folks talk about draining the swamp, please remind them that this is the job of the voters. You and I can drain our own swamps by vetting our candidates better. 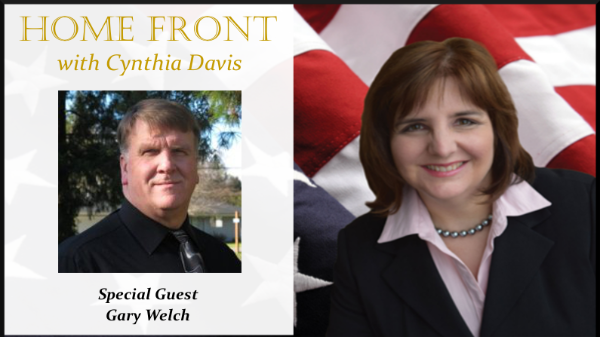 Click here to listen to the Home Front now. There should be a national movement to NOT vote for any democrat or republican starting in 2018. We need to start looking at the other parties such as the Constitution party. OR stop party politics altogether. I Can understand very well why a politician who is dedicated to preserving our constitution would have much difficulty when dealing with issues that many other LIBERAL politicians get to have their say and input on the issue, however when it comes to the few issues that Donald Trump gets to decide completely on his own without any decision making from any other political leaders, then I think those few decisions do say a lot about who he really is. Knowing that the CFR is a organization that’s dedicated to Bringing America down to the level of a third world country, WHY IS IT THAT DONALD TRUMP KEEPS SELECTING POLITICIANS WHO ARE MEMBERS OF THE CFR? It’s going to take hard-working patriots like us that focus on returning this country back to the constitution! While the monkey analogy has merit, I don’t think the problem with the DC swamp is based on negative reinforcement. I think it’s based on positive reinforcement. The number of monkeys does not matter, just put a bunch in a cage and command them to dance. By accident, one will make moves similar to dancing. He gets a banana. After that first banana is eaten, the dance command is given again. Once more, by accident, a monkey will appear to dance, might even be the same as the first. This dancer also gets a banana. With continued repetition eventually all the monkeys learn to dance. As these dancers are replaced, their successors quickly pick up on the dance for bananas routine. Now replace banana with ‘wad of cash’ and the problem is more correctly defined, IMHO. It’s always about the money. Putting the blame on voters is short sighted. Many pols run one way then get pressed into shape by the culture there. We need a vastly minimized federal gov’t with more citizen oversight, but that requires a convention of the states. Dems abhor the thought. And way too many conservative voters are inexplicably terrified of it as well, –perhaps the one thing they both agree on. So in 15 yrs, we’ll be saying the same things. Simply, the swamp does not to be drained, and can fight back with lethal force. 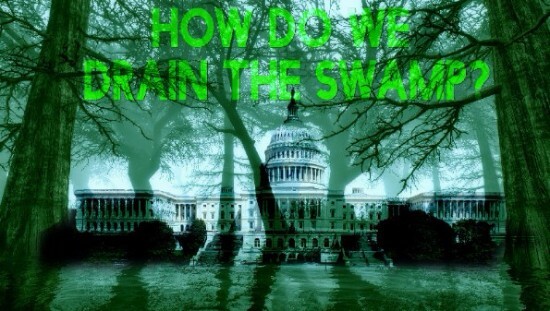 The question of what it will take to “drain the swamp” has a simple solution. First of all the majority of those that vote must get a fire in their belly for draining the swamp. Second, these same people MUST begin to communicate to their elected officials letting them know they are being watched and IF the elected ones want to keep their “part time” cushy $173,000/annual job then the taxpayers are requiring the US Constitution be adhered to. I write to my congressman letting her know of my disagreement or agreement with her statements and her voting record. Always doing it in a “loving” manner because we obtain more with kindness than with any other method.